liver and kidneys. Many of these problems can be avoided by bringing your pet for regular dental check-ups and dental cleanings. We offer extensive dental care for pets including cleaning, polishing, tooth extractions, and digital dental radiology. Airpark Animal Hospital is devoted to keeping your pet’s mouth clean and healthy, so during a wellness exam our veterinarians will discuss options with you for your pet’s continued dental routine at home. 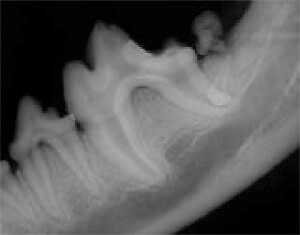 Digital radiographs of your pet’s teeth and jaw are taken to provide further diagnosis of potentially diseased teeth during a dental procedure. Pet dentistry is much more involved and complex then most dental visits for humans, because unlike most of us, pets have not had a daily routine involving the cleaning of their teeth and gums. Subsequently, veterinary dentistry is considerably more time-consuming and requires general anesthesia and a day’s hospitalization. Without anesthesia or sedation, dogs and cats would not tolerate having the firmly attached tartar scraped from their teeth during a dental procedure. Ultrasonic scaling tools and sharp hand instruments are utilized to remove the dental tartar. Pets or the people conducting the cleaning can be injured if a sudden movement occurs during the procedure. Periodontal disease typically starts below the gum line in the sub gingival space, so it is critical to clean this area in addition to the area above the gum line. 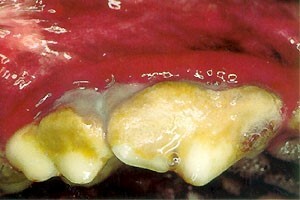 Cleaning and scraping below the gum line can cause more discomfort then usually accompanies cleaning above the gum line. Upon completion of pre-anesthetic blood work, the doctor and staff will complete a thorough oral exam and assess your pet’s overall tooth and gum health. This is followed by cleaning, scaling, and extractions as necessary. Your pet will be with us for most of a day when having this procedure done, but may go home after fully recovering from anesthesia. Sophie has received excellent care from various vets in her 14 years. Last couple years have been more difficult; but each vet has helped her live out her senior years with asthma as comfortably as possible. I appreciate all the time I have with her.